The talking points that have accompanied Glaswegian synthpop band Chvrches’ explosive rise to fame may ring some bells: Two beatmakers and a charismatic frontwoman release a trickle of catchy singles onto SoundCloud, accumulate a massive amount of hype and followers, tour heavily on two continents, release an EP, accumulate even more hype, and then drop their first proper album. It’s a familiar trajectory nowadays—and it’s also one that can just as easily launch careers as send them crashing down to earth again. 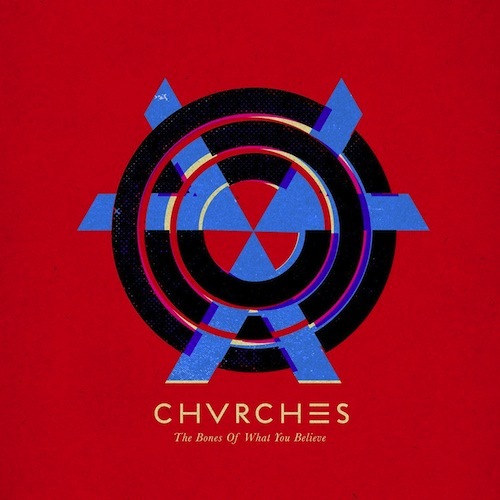 But Chvrches—pronounced “churches”—are not your typical indie-pop flash in the pan, and their first full-length album, “The Bones of What You Believe,” is proof. The 12-track LP is nearly impossible to take off repeat, as any good pop album should be, but it’s also impeccably arranged and drenched in personality. “Bones” is an exceptionally confident debut and it suggests that Chvrches isn’t going anywhere but up. A first impression of Chvrches’ music can be summed up with two descriptors: “massive” and “’80s.” It’s bright, anthemic, and unabashedly loud. Yet while their splattering snare drums and sparkling synth lines are obviously indebted to Reagan-era behemoths like New Order and Depeche Mode, a closer listen reveals a diverse range of influences that aren’t moored to a single time period. “We Sink” bounces along with the midrange throb of Robyn; “Science/Visions” has some of The Knife’s otherworldly menace; and “The Mother We Share” opens with chopped-up vocals reminiscent of Purity Ring. As such, Chvrches’ music could conceivably appeal to anyone who’s been a fan of dance music at any point in the last three decades. Martin Doherty also takes center stage on occasion, as on the “Recover” EP’s “ZVVL,” and while his voice is pleasant enough, it doesn’t have nearly as much presence or emotional force as Mayberry’s. 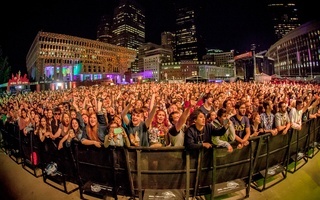 “Under the Tide,” one of his two solo tracks on “Bones,” is therefore the album’s only skippable cut—Doherty’s comparatively flat delivery makes the song’s four-and-a-half-minute runtime feel much longer. His voice works much better on closing track “You Caught the Light,” a moonlit slow jam that serves as an apt comedown from the rest of the album’s furious energy. 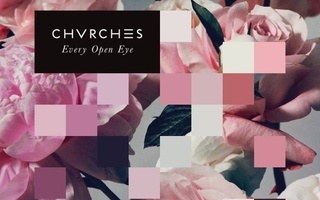 Most of the singles that first gained Chvrches attention reappear on “Bones” essentially untouched. Although “Lies” and “The Mother We Share” have a little more studio polish than their original versions, they thankfully haven’t lost any of their oomph—and EP cut “Recover” and standalone single “Gun” haven’t changed at all. It’s not as if Chvrches are just lazily recycling their old material for album filler, though—these songs feel definitively like they belong on the album. That might be because pretty much every new song on “Bones” would have as much success as a single as anything they’ve released so far. “Night Sky” starts out as a rather innocuous dream-pop piece, but by the end, Mayberry and co. have set fire to the whole thing in a blaze of thunderous drums and churning bass, leaving nothing but disembodied fragments of Doherty’s voice drifting through the air like embers. And the sputtering-cyborg lilt of “Lungs” carries with it a melody from Mayberry that, like every other Chvrches song, will dig itself into your auditory cortex and refuse to leave for weeks. Perhaps that’s the most impressive thing about “Bones”: purely as a pop record, it’s nearly flawless. Every song is catchy, and every song feels equally suited for headphones and for stereos, for parties and for breakups, for walks to class and for road trips. The group taps into seemingly every dopamine-rush quality of dance music while refusing to pander. Don’t blink—Chvrches are headed for the stratosphere. Candidates for the drum, fife and bones will be examined today at Roberts Hall between the hours of 10.30 A. HOW JOHN POLHEMUS BECAME A CARDINAL.